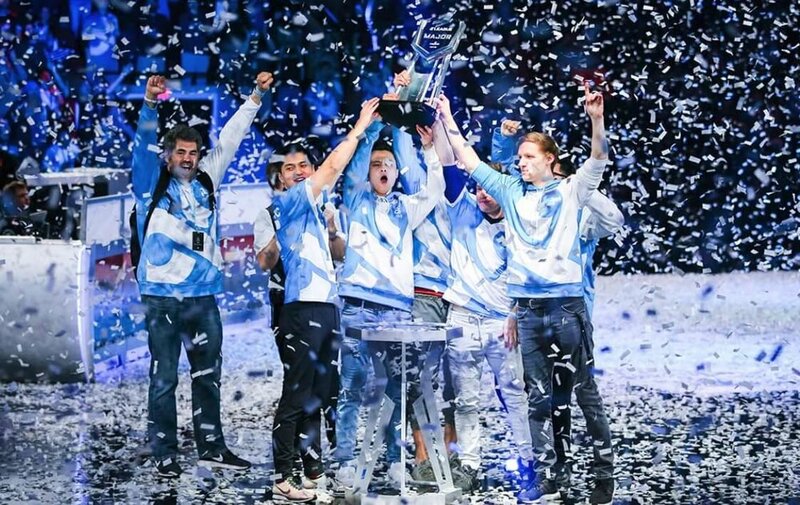 This list indicates the top 20 highest-paid Counter-Strike: Global Offensive players in the world. It considers only earnings from professional esports tournaments. CS:GO is one of the games with the largest number of esports events. From its release, over 69 million dollars have been awarded in 3858 tournaments, and the previous iterations of the game (Counter-Strike 1.6 and Counter-Strike: Source) handed out 15 million dollars in 1200 tournaments from 2000 to 2013. Every year, the best pro players in the world take part at the CS:GO Major Championships: Valve-sponsored events with a prize pool of $1,000,000 USD. There are also Minor Championships with a monetary prize of $50,000 that act as qualifiers for the Major. The minors are separated in 4 regions: Americas, Asia, CIS, and Europe. The prize pool of the Majors can’t be compared to The International (Valve-sponsored Dota 2 event), but the most popular CS:GO players and teams are able to earn a huge additional income via the tournament stickers sold in-game during each Major. CS:GO is the esports game that provides the greatest number of opportunities to aspiring pro players due to the big amount of organizations involved. During the year, there are hundreds of tournaments with a prize money ranging from a few thousands to hundreds of thousands of dollars held by esports and betting organizations. Beside the LAN events, there is also an impressive number of online competitions and professional leagues (such as those hosted by FACEIT and ESEA) that grant weekly prizes to players belonging to different professional tiers. Both veterans and newcomers have the chance to test their skills, improve their gameplay, and potentially earn a steady income. The data in this article includes only revenues from esports tournaments because we can’t have precise info on all the money earned by the players via team wages, direct sponsorships, and stickers. Be aware that CS:GO is a historic esports with a loyal fan base, so the tier 1 players are well-treated by their teams and can easily pull out sponsorship deals. The table is responsive. If you are using a phone, you may have to turn it sideways for a full view. Otherwise, zoom in or click the grey area to swipe it. A new Counter-Strike: Global Offensive update, version 1.36.0.5, has been released on September 22. ELEAGUE published the bracket for the playoffs of ELEAGUE CS:GO Premier 2017. 8 teams will fight in a single elimination bracket. Esports Championship Series Season 4 will start this Friday, October 6th. Four teams from each region will battle during the first day. ELEAGUE announced that they will host the next CS:GO Major. The Main Event will be played live at Agganis Arena in Boston from January 26 to 28. Pava, a Brazilian Counter-Strike veteran, announced he will stop competing professionally in CS:GO. He will start a new career as a streamer. How much money have I spent on CS:GO, Dota 2, and Steam?